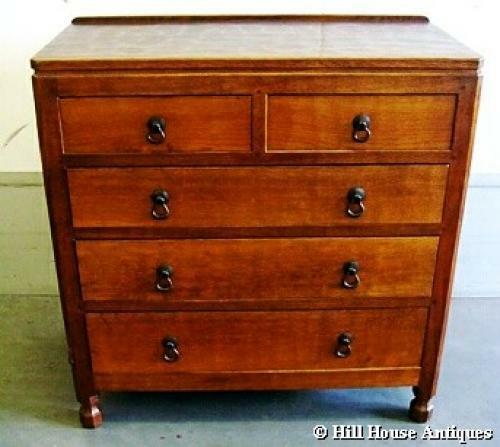 Superb early period c1930s adzed oak chest of drawers by Robert (Mouseman) Thompson of very good colour; comprising two short over three long drawers with wrought ironwork drop handles. Approx 38" high and 36" wide. Panelled sides and octagonal feet. Carved mouse above one leg.